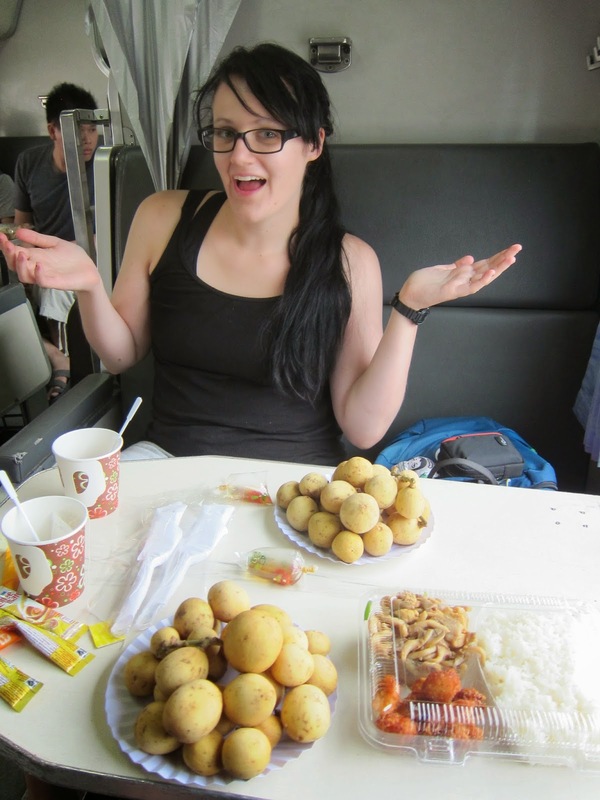 This was the first overnight train ride of our trip. The journey begins in Georgetown, where we walk about 30 minutes from our hotel to the ferry terminal. We could have taken a taxi, but didn’t feel like being ripped off (Penang cab drivers don't seem to like using their meters). We also could have taken the CAT, a free tourist bus, but I could figure out how and when that came either. So we walked. In the sweltering heat. The ferry terminal is not clearly marked and there’s no useful signage, but getting to the platform is pretty obvious and there will always be people coming or going. We got there just as the ferry arrived. They let the cars board first then the people. No tickets or money is collected in Georgetown, so it’s a free ride. After about twenty minutes we reached Butterworth terminal, and it was easy to find the train station from there. There are only two platforms, and they look very modern. Butterworth train station, however, was under construction when we visited, and was little more than a makeshift blue shack. Our train was on the platform 45 minutes before departure, which was a relief. We bordered 30 minutes before we were scheduled to leave at 2:00, and the train took off right on time, another rarity for Asia. We bought our tickets two weeks in advance, and were told that we got the last two seats. 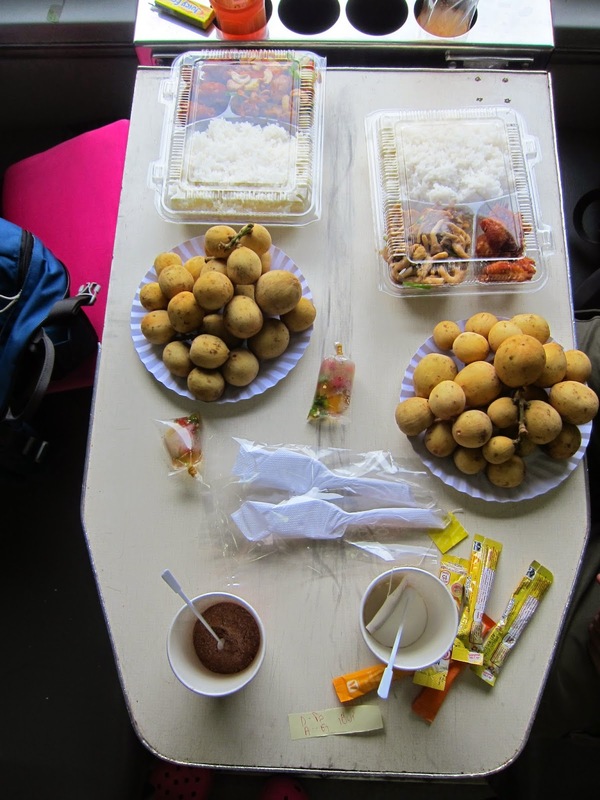 There were only two cars which were each half full until we crossed the border into Thailand. Then practically everyone got off and was replaced by a crowd of different people. Then the train was full. We ate dinner at the border, where the train stayed for about an hour and a half. 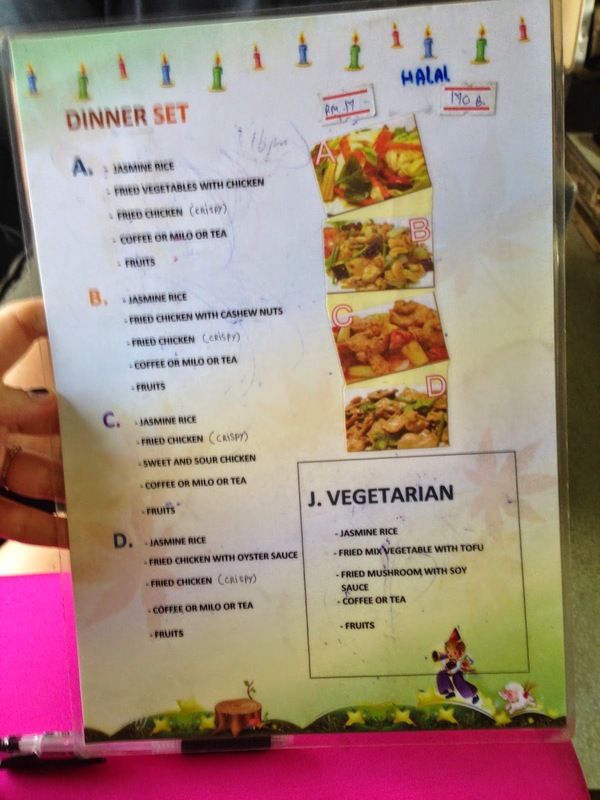 I ordered one of the dinner sets and a Thai beer. The lunch was absolutely enormous and neither of us could finish it. It was nice to be able to eat without the train moving, but the stop felt unnecessary. We all got through immigration and customer in under 15 minutes. So the rest of the time passengers wondered around bored and aimless. During the day, the seats are set up facing each other. 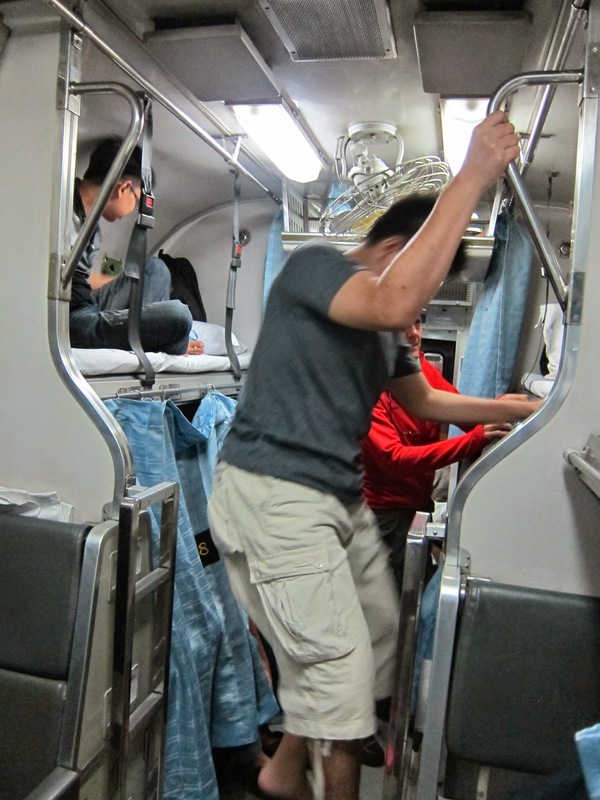 Around 7:30 pm, the train staff come and set up the beds. The two seats fold out into a spacious lower berth, and the upper berth is created from a stow-away shelf. 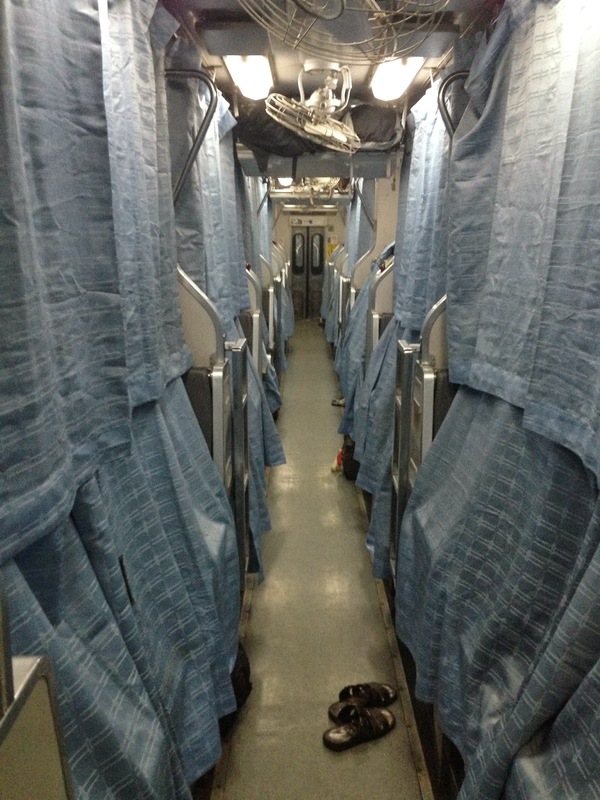 I had been given an upper berth but I could absolutely not sleep in it. For one, there is no window and it is so low that you can’t sit up in it. Also, the train started to sway dramatically in the middle of the night, and I was afraid I would fall from the awkward ladder they built to get up there. So my partner and I shared the lower berth, which is wide enough to uncomfortably fit one skinny person and one slightly chubby person (I'm the chubby one). Sleep on the train was only possible in 30-40 minute nibbles, until on of us stirred, moving an arm of leg and waking the other, or until the train neared a station, when the florescent lights would break through the train windows and knock us awake, or until the train passed a busy street and would sound our arrive with its horn. We did not take the train all the way to Bangkok. At 7:20 am, just 30 minutes past our scheduled arrival of 6:50, we pulled into Hua Hin Station, where we would stay for three days.